The Ranger HD R/T tactical binocular combines premium optics and tactical features to create a tough, durable roof prism binocular-reliable in all conditions. HD (High Density, extra-low dispersion glass) objective lenses deliver impressive resolution and the true-to-life color accuracy essential for identifying targets at long distances in low light. 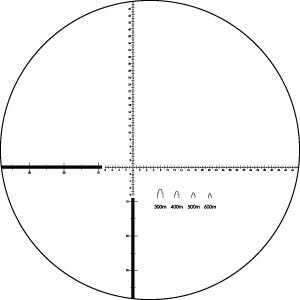 Law enforcement and hunters can range objects of known dimension with the R/T Ranging reticle, which features four silhouettes to serve as a secondary ranging aid. 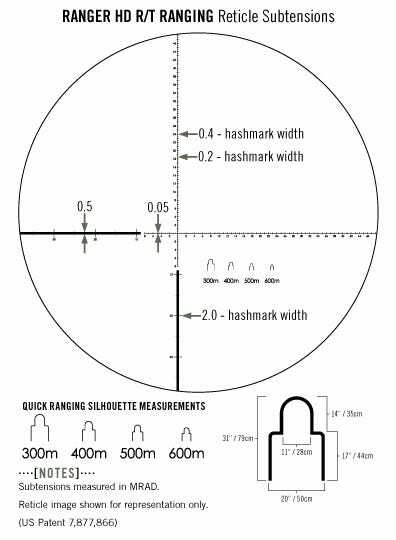 Subtension detail for the Ranger HD R/T Ranging Reticle.